We know an eager up-and-comer in the fashion industry when we see one: You have an insatiable appetite for travel, an unrivaled obsession with style, and your ideal job probably combines the two. Well, the new ASOS internship might just be your dream ticket. The international online fashion retailer is opening up its application process for an unbelievable six-week program that will send one student to each of the company's offices around the world. We're talking London, Berlin, Shanghai, Sydney, New York, and Lille, France — yep, basically, a once-in-a-lifetime journey. It'll also offer the winner a travel tour in each city, a stipend of $3,000, and a $1,000 ASOS gift card. 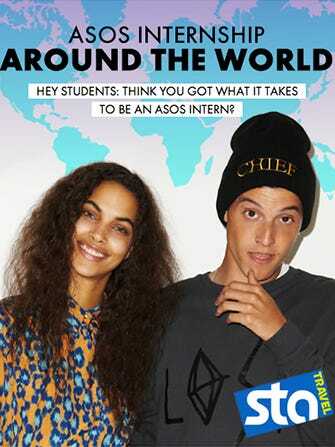 Oh, and you have the chance to work for ASOS, of course. If your summer plans are still up in the air and you're dying to learn the ins and outs of the fashion industry, grab your passport and apply online. ASOS will ask you to create a "life resume," essentially a collage-style rundown of your academic, athletic, and extracurricular credentials. And, feel free to share your favorite Instagram posts and other personal tidbits to really let your personality shine. The deadline is March 3, and the new intern will be announced April 7. Bonne chance!